Education : Bachelor of Engineering, Pursuing MBA. Hindu , UNMARRIED, B.Sc Commercial Pilot Course from Aus. Education Details : Bachelor Of Engineering (Electronic & Instrumentation) and Pursuing MBA from UPES, Dehradun. 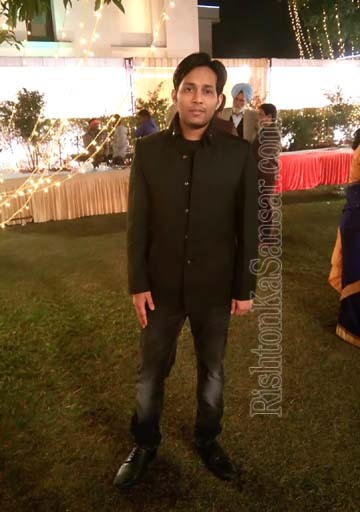 Occupation Details : Working As Junior Manager in Pasupati Acrylon Ltd, Kashipur Road, Moradabad, Uttar Pradesh. Pasupati Acrylon Leading Chemical Plant which Manufacture Fiber. Father Occupation : Govt. Service As A Retd. As Manager, Indian Telephone Ltd, Rai bareli, U.P In Aug 2014. Currently Working in Private. Brother's Details : Master Akhil Tayal Passed B.Tech (Information & Technology) Working As Software Engineer In IBM Noida.